When you are looking for the best commercial roofing contractors in the Angus area, turn to us! In order to get the best results from any roofing service for a commercial building, it is important to use only experienced commercial roofing contractors. You may be tempted to use the company that did such a great job for you at your home in Angus, Ontario, but that is no guarantee that they will have the expertise to handle the more complex issues that are involved with a commercial building. 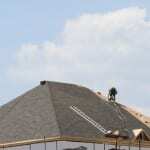 Here at Slippery Slope Roofing, we offer the services that you expect from commercial roofing contractors. One of the things you can count on is that we understand that business disruptions are not just inconvenient. They cost you money and potentially not just one sale, but a customer, and thus a lifetime of sales. We have learned the best techniques to take care of your roofing needs with minimal disruption, so your staff can continue working and your customers won’t be frustrated. We work quickly and make sure the project is done right the first time. The second thing we recognize as commercial roofing contractors is that if your business is to remain profitable, you can’t be spending more than is necessary on your building’s roof. That means we have to do quality work, so you aren’t faced with unnecessary repair costs sooner than you should be. It also means that we keep our prices competitive, so you can be sure your budget won’t take an unnecessary hit. We offer quality maintenance services that are designed to prolong the life of your building’s roof to further minimize your costs. We are confident that our 50 years of combined experience in the roofing industry will provide you with the best results possible. If you have any questions about what we do as commercial roofing contractors, don’t hesitate to contact us.